Born in Boston, growing in Calif. Highlights from the Innovation Economy blog. 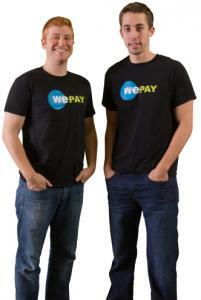 I stopped by the Palo Alto, Calif., offices of WePay Inc. this month to visit cofounders Rich Aberman and Bill Clerico. It was a chance to check in on a start-up born in Boston, funded by Highland Capital Partners of Lexington, and groomed by the Y Combinator prep school for promising start-ups, which was created in Cambridge but now is run from Silicon Valley. WePay is focusing on “a chink in PayPal’s armor,’’ as Clerico puts it, or managing payments for a group activity, such as renting a ski house or running a soccer league. It has raised just over $9 million. It’s painful for me to acknowledge WePay has found a more supportive environment in the Bay Area. When I met Clerico and Aberman in 2008, they did not have a working prototype and were having trouble convincing investors they could make a dent in the complex and highly regulated world of online payments. They weren’t accepted into the first season of TechStars Boston, but they did get into the Y Combinator program, so they packed up and headed for California. Since then, WePay has attracted West Coast angel investors such as Max Levchin, a cofounder of PayPal; Ron Conway, Silicon Valley’s highest-profile early-stage investor; and a former Intuit technology executive. They plucked a top engineer out of San Jose, Calif.-based PayPal. Now, the downside. With so many Internet-oriented start-ups getting funding in the Valley, Clerico and Aberman describe a hiring scramble reminiscent of the late 1990s. So WePay’s strategy has been to look afar, especially to Boston. It’s been to the MIT career fair, and as Boston College alums, Clerico and Aberman host current BC students during the school’s annual TechTrek. WePay has gained momentum in the Valley (and found funding) that would have been difficult to attain in Boston. But it is also feeling the hypoxic effects of a bubbly environment. Every new online payment start-up gets a flash of attention, and bringing on talent occupies a good deal of Clerico and Aberman’s time. Warehouse robotics I met CasePick Systems LLC’s founder, John Lert, more than three years ago, when he was one guy in Cambridge. His vision was to use robots to make warehouses more efficient. Since then, CasePick has grown into a company with nearly 50 employees, and it’s still on a hiring spree. In 2009, Wilmington-based CasePick was acquired by one of its early backers, C&S Wholesale Grocers Inc., a privately held New Hampshire company. Just about everything that’s public about its technology is described in a single patent; it describes a network of pathways in a warehouse that are traveled by autonomous vehicles able to load or unload an item using a “transfer arm.’’ Merchandise is stored on multiple levels, with robots able to travel up and down ramps. CasePick calls its bots T3Vs, for Track-guided Transfer and Transport Vehicles. The system sounds like it requires a lot of bolted-down infrastructure, including ramps, elevators, and racks. That means a big up-front investment, though it isn’t clear whether C&S wants to sell the technology to others or simply use it at C&S. The grocery distributor is hiring employees who will be responsible for running CasePick systems. For the full blog, updated daily: www.boston.com/innovation.